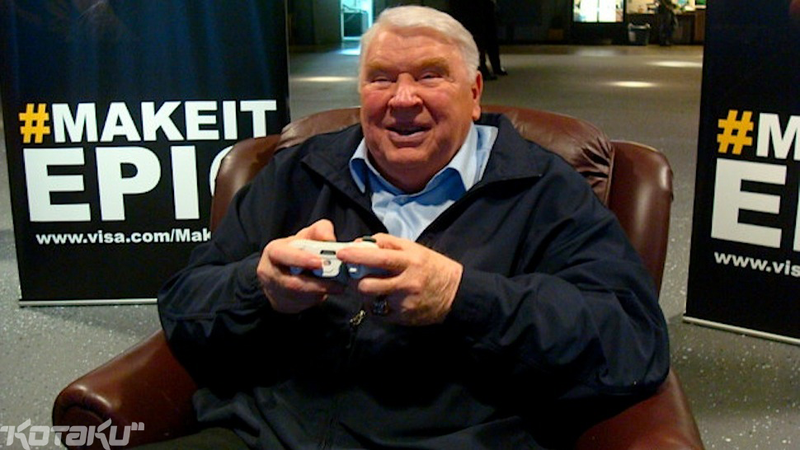 Who would you trust to teach you how to properly hold a controller, a model or John Madden? The answer might be simple for you, but one glance at stock photos reveals conventionally attractive people who don’t know how to properly time a celebratory fist clenching. Just check out the many Fake Gamers of the Week. I’ve taken the following photos as reminders and suggestions of proper gaming expressions and postures. Take it from these pros; this is how you should look when you’ve mistakenly chosen to reload when you really should have just switched to your sidearm. And, ok, not all of these people are developers. But we just couldn't help ourselves. Like John Madden holding a controller. Now you know how to hold a controller. Moving on! What does Cliffy B. have that stock photo models don’t? Reversible silk shirts. Gearbox Software’s Randy Pitchford, featuring Randy Pitchford’s flying elbow. 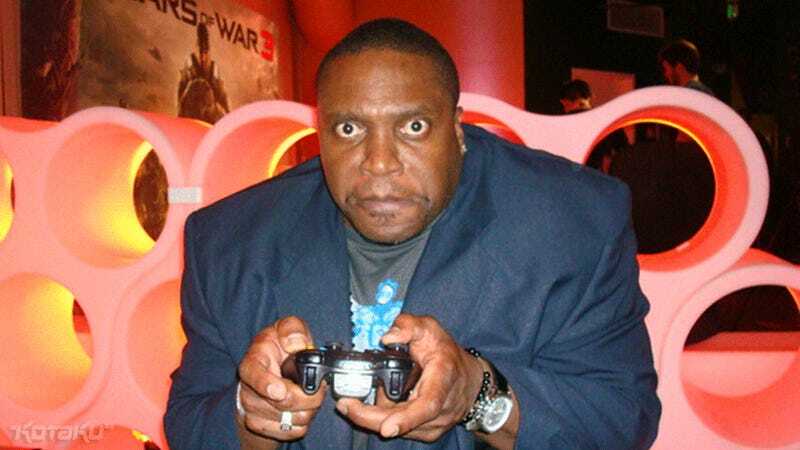 Lester "Cole Train" Speight, voice actor in Gears. In his path to becoming a Sith Lord, he helped make Critter Crunch. It’s Capybara Games’ Dan Vader. Eidos Montreal’s Stephane Roy (left) and Daniel Windfeld Schmidt. Greg Goodrich, formerly of Danger Close. This photo was taken in early 2010. Guerilla Games’ Herman Hulst noticed my confused look after this photo shoot. He said, “Just wait a few months.” He was breaking embargo on the PlayStation Move reveal and I’m ashamed I didn’t notice. Ubisoft Montreal's Martin Schelling (left) and Ash Ismail. Q-Games’ James Mielke and Q Entertainment’s Tetsuya Mizuguchi. Square Enix’s Motomu Toriyama (left) and Yoshinori Kitase. We'll have more fake gamer shots for you soon, all starring more crazy-posing game developers.